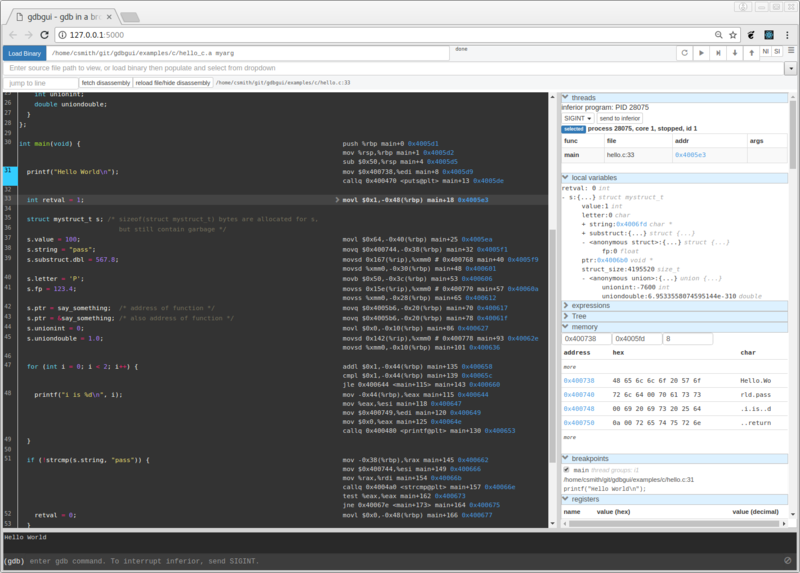 Browser-based frontend to gdb (gnu debugger). Add breakpoints, view the stack, visualize data structures, and more in C, C++, Go, Rust, and Fortran. Run gdbgui from the terminal and a new tab will open in your browser. This entry was posted in Computer, Murmuring, Network, Programming, Software, WWW and tagged browser, debugger, gdb, gdbgui, gnu, gui on October 31, 2017 by Gea-Suan Lin.